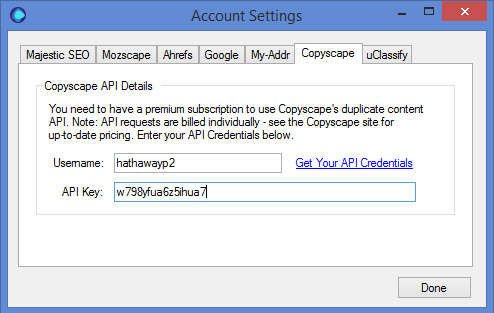 URL Profiler can access the Copyscape API to perform duplicate content checks. 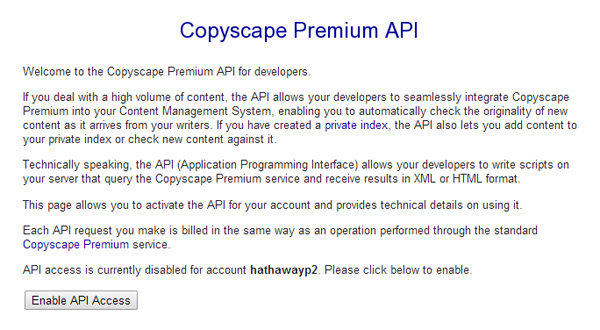 To use the API, you need to sign up for a premium subscription. Then click to purchase credits. 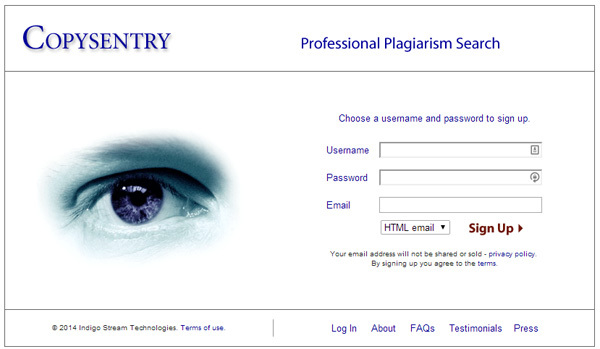 The API offers the same pricing rates as regular searches, which is $0.05 each. Before you can use the API you need to enable API access – go to this page and click ‘Enable API Access’. You will need to add your username and password to URL Profiler Account Settings.